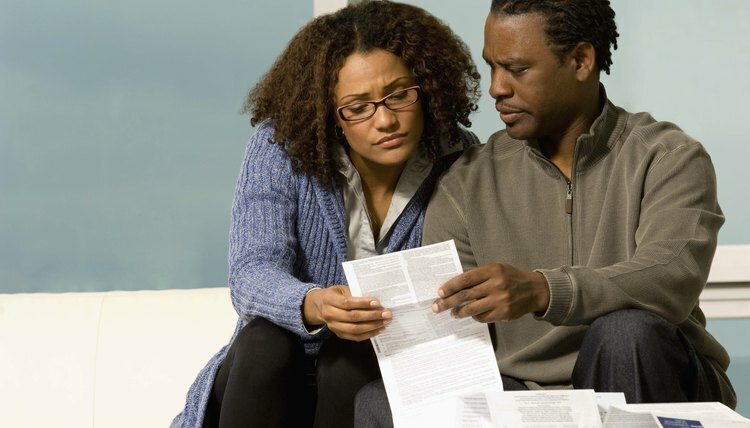 You must meet certain income guidelines to qualify for filing Chapter 7 bankruptcy. If you make less than the median income for your state, you typically qualify. If you make more, the bankruptcy court will apply a “means test” to determine if you are eligible to file. The court calculates your total projected disposable income over the next five years, using your current monthly income. If your projected disposable income -- current monthly income minus certain allowable living expenses, multiplied by 60 months -- is more than $11,725, you won’t pass the means test. Likewise, if the figure is at least $7,025 and this amount represents more than 25 percent of your unsecured debt, you won't pass. In these cases, the court will presume your filing is "abusive," which means your case will typically be dismissed -- and you won't receive a discharge -- or it will be converted to a Chapter 13 case. If the court discovers fraud in your case, your case may be dismissed and you may face other fines and criminal charges. Concealing assets from the court to avoid forfeiture or intentionally filing false forms is usually considered fraud. Most bankruptcy fraud involves debtors who conceal assets, sometimes by transferring assets to friends or relatives. Filing multiple cases in several states or using false information to file is also considered fraud. Bankruptcy requires the debtor to attend credit counseling and financial management courses. Chapter 13 bankruptcy requires the debtor to attend credit counseling from an approved agency before even filing his case, except in emergency situations or when such agencies are unavailable. If the debtor doesn’t attend these required sessions, the case will be dismissed because the debtor has not complied with the necessary steps to receive a discharge at the end of the case. Bankruptcy cases require many forms to be filed with the court, and the court may request additional information. You must comply with filing deadlines and provide complete information to the court. If you don't, the court could dismiss your case. Chapter 13 bankruptcy requires the debtor to make payments in accordance with a three- to five-year payment plan. If you fail to make these required payments or aren’t able to afford the payments as planned, your case could be dismissed. Alternatively, the court could grant your request for a hardship discharge if your failure to make payments was caused by circumstances beyond your control, such as a job loss or serious illness. To qualify for a hardship discharge, you must have paid your creditors at least as much as they would have received under Chapter 7; it must also be the case that modification of your payment plan won’t fix the delinquency. Duncan Law PLLC: What Is the Difference Between a Bankruptcy Discharge and Dismissal? Can You File Bankruptcy Again If You Have Filed Before, But it Didn't Go Through? When you file for bankruptcy, you usually want to have your obligations to creditors discharged, or extinguished, so that you can have a fresh financial start in life. However, your case can be dismissed before the discharge is entered, or your discharge can be denied by the court. In most cases, you can file for bankruptcy again, but you might have to sit out a waiting period and, sometimes, the relief you may receive in any subsequent bankruptcy is limited.